UPS gains points for its use of Twitter and Facebook to highlight the company’s unique value proposition for employees. The company uses social media to reach a broader group of applicants than recruiters would typically bring in. For example, the UPS Facebook page highlights volunteer efforts, non-standard employees in the field, and a diverse employee base. The company’s pages also keep users (and potential employees) engaged by asking frequent questions, and answering queries in real time. Best Practice: Hone in on your value proposition. 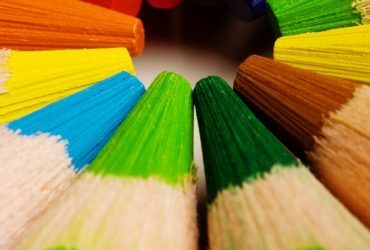 Figure out how to apply your value proposition to a diverse group of candidates. Is it that you’re a community of like-minded people? Or that you invest in your employees’ individual growth? Whatever your unique employer value, be sure to remind candidates of it on social media like UPS does. 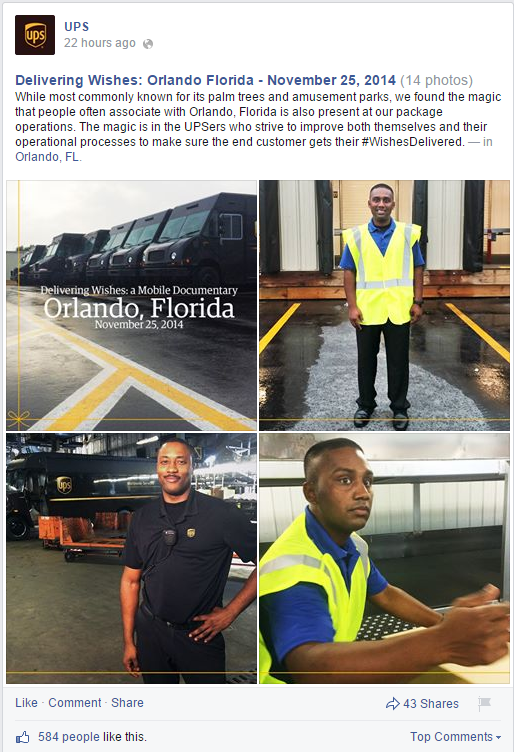 UPS’s social media pages remind their potential applicant pool of their responsiveness and their diverse employee base every day. 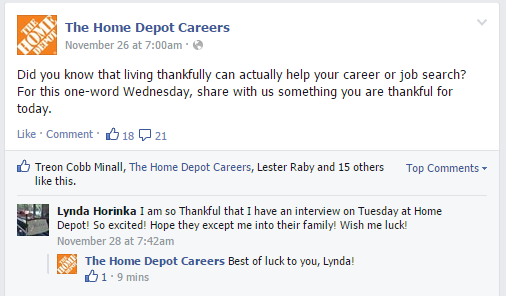 Home Depot’s Facebook page is as busy as you might expect a large corporation’s to be. Among the many things people post, there are often questions about the status of job applications. Each inquiry is answered quickly and personally. This transparency changes the tone of hiring from an intimidating process to a genuine, two-way process beneficial to the candidate and to the employer. Best Practice: Quickly respond to candidates’ questions. Quick responses are everything when it comes to social media. Keeping up with the comments on your page can keep candidates engaged, interested, and motivated to apply. If you’re using social media to recruit, make sure you have a quick response time, so that you can reward candidates for applying and not leave them in the dark. 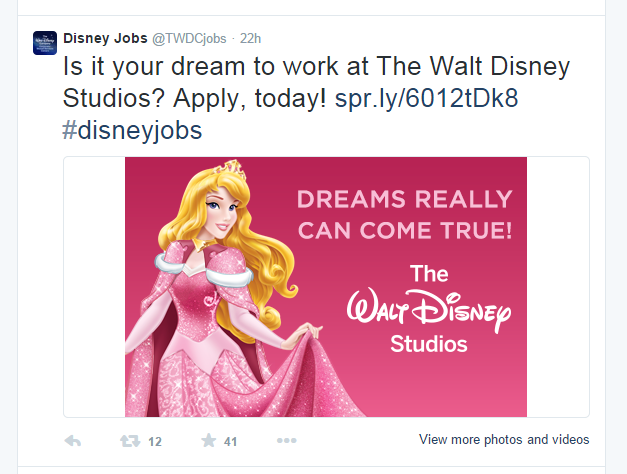 Disney uses Twitter to highlight the fantasy associated with the company and what it’s like working there. The company’s social content reminds candidates that they can follow their passions while working for Disney, and that working for Disney would help them do so. Best Practice: Appeal to your applicants’ desires. Disney definitely plays toward its strengths by highlighting its dreamlike world, but it also does something else: appeals to the dreams of its applicants. Focus on potential employees’ desires and you can create a social media value proposition that candidates can’t resist. 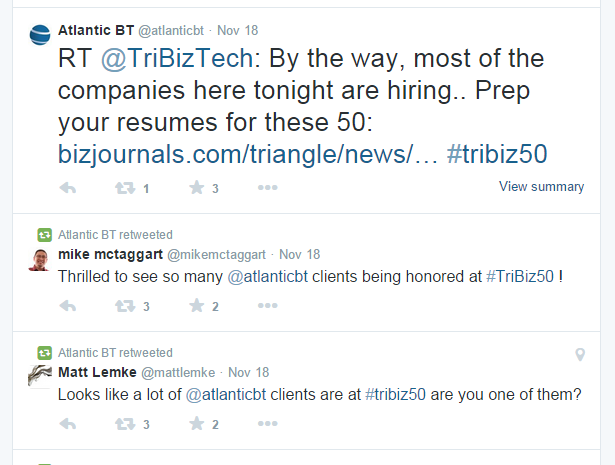 Atlantic Business Technologies also looks for potential candidates on Twitter, but its strategy for Twitter is more developed than most. Its recruiters focus specifically on getting others to retweet posts about open positions. Why? Retweeting generates more exposure – an opening is more likely to show up multiple times in applicants’ feeds, which increases the likelihood of pursuit of the position. Best Practice: Keep the conversation going by sharing and re-sharing. To increase social exposure, ask people in your network (including current employees) to retweet the open position and use appropriate hashtags. Consider using promotions or contests to get more people to retweet; any way of increasing interaction with your posts could get you more positive attention and drive more people to apply. 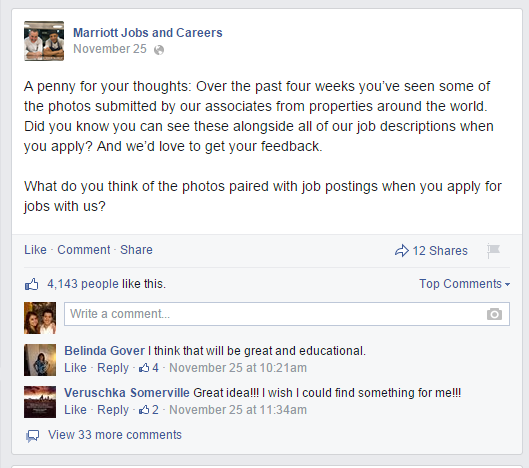 Marriott is doing a lot of things right with its careers page on Facebook, which has 1.2 million likes. People come to the site to peruse current openings and apply for positions, but they leave with a sense of what it would be like to work for the company. Candidates’ questions are answered in real time in “Career Chats” hosted by the company. The employees answering the questions use their first names to humanize the process. Instead of “Marriott Hotels” answering your questions, for example, you might see a reply from “John at Marriott.” Along with the user engagement that this personal touch fosters, it also encourages candidates to think of themselves as part of the company. Best Practice: Use employees to personalize the conversation. In your social recruiting efforts, encourage your employees to become part of the conversation in their own individual way. Of course, you’ll want to provide them with some guidelines for customer or candidate interactions. When individual employees answer questions, they’re often more creative, genuine, and present a fresh, individual face to which candidates can relate. If you treat your employees well, they can act as an incredibly powerful hiring resource for you. These companies have found unique ways to utilize social media in their search for the best employees. Their efforts, which your company can also implement, have paid off. Perhaps copying best practices for hiring with social media will help you land that perfect employee. 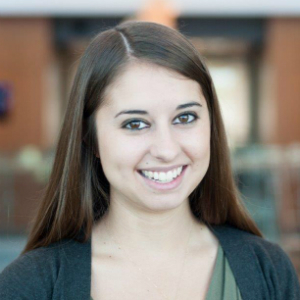 Katherine Wood is Managing Editor at Talent Tribune, where she writes about people, technology, and HR software.